Lefstein-Suchoff CPA & Associates, LLC has a proven track record of getting our Client’s Offers in Compromise accepted and thereby saving our clients thousands of dollars. If, on the other hand, we believe that filing an Offer in Compromise will simply waste your time and resources, we will discuss in detail, other resolution strategies to minimize and fully resolve your tax liability. In some instances we may suggest a combination of resolution strategies to resolve the liability in question, so time and energy are not wasted, thereby increasing additional penalties and interest. The IRS may compromise the tax liability in most civil or criminal cases before referral to the Department of Justice for prosecution or defense. The Attorney General or a delegate may compromise any case after the referral. Interest and penalties, as well as tax, may be compromised. Offers-in-Compromise are submitted on Form 656 accompanied by a financial statement on Form 433-A for an individual or Form 433-B for business (if economic hardship may also apply to an offer-in-compromise by submitting form 656). If the IRS accepts an offer-in-compromise, the payment is allocated among tax and penalties owed; the payments will be applied to tax, penalties, and interest, in that order, beginning with the earliest year. If the IRS agrees to an amount that does not exceed the combined tax and penalties, and there is no agreement regarding allocation of the payment, no amount will allocated to interest. 2. That are made by low-income taxpayers (i.e., taxpayers whose total monthly income falls at or below income levels based on the U. S. Department of Health and Human Services poverty guidelines). Our Bergen County CPA firm has helped many taxpayers file Offers in Compromises, most with successful outcomes. 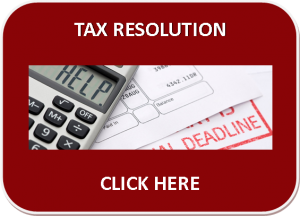 For help with IRS, tax audits, tax problems, back taxes, tax settlements, tax debt, Offer in Compromise, tax help, IRS debt, a tax lien, a state tax levy, an IRS levy, an IRS tax lien, contact us. If you need IRS help and have unresolved cases with previous tax lawyers and tax attorneys, we can help find an optimal resolution for your indigenous needs. Contact us at 201-947-8081 or 646-688-2807, or email us at info@irstaxproblems.com. This entry was posted in Offer In Compromise and tagged Back Taxes, IRS Problem Help, IRS Tax Problems, Tax Penalty Reduction, Tax Problem Solutions. Bookmark the permalink.